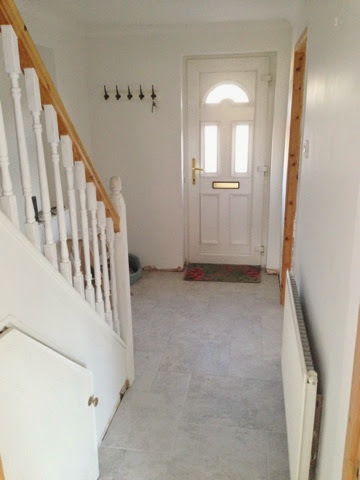 The Hall and landing has now had two coats of Dulux white cotton paint. 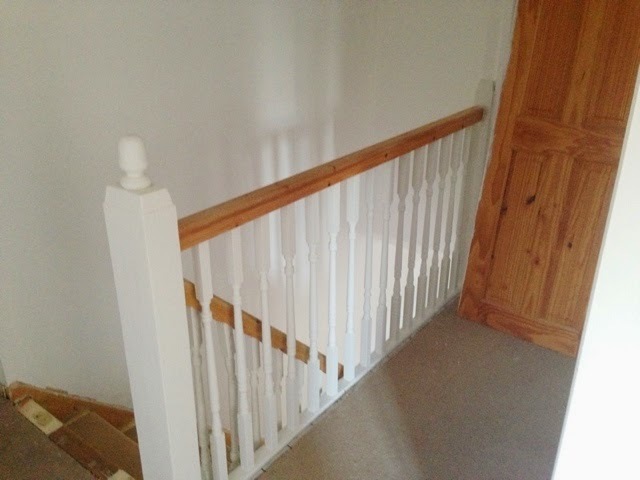 The bannisters have had their second coat of paint and are looking good. I painted these in Annie Sloan Chalk Paint. The tiler has tiled the hall floor. 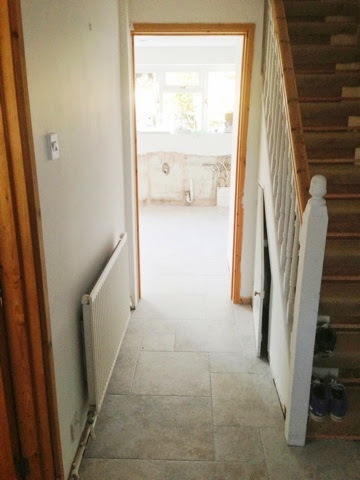 The stairs and landing will be recarpeted once everything else is finished. We are thinking a dark grey colour at the moment. I now have 5 doors to gloss on the landing. Hopefully I can make a start on these tonight.